This book presents previously unpublished manuscript sermons from a crucial yet little-known period in Edwards's life: the years between the completion of his Master's degree at Yale College and the death of Solomon Stoddard, his famous grandfather and predecessor at Northampton, Massachusetts. These sermons, constituting the second in a projected series of six sermon volumes, highlight the intellectual and professional development of the young Edwards through his pastorate at Bolton, Connecticut, his Yale tutorship, and his colleagueship at Northampton. In his introduction, Kenneth P. Minkema weaves together the details of Edwards's emerging career with the concerns expressed in the sermons. 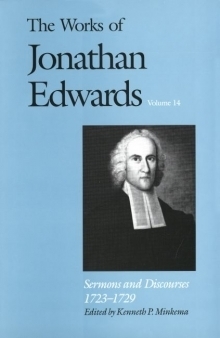 He shows how Edwards addressed local and provincial concerns as well as the great theological debates of his day, and how he struggled to work out the implications of his innovative concept of "excellency" and to develop his definition of conversion as a "spiritual light."